It may be that you are facing a difficulty or in the middle of some kind of crisis. It may be that you are gathering courage to make a change in your life or work or relationship, or adjusting to a loss or bereavement. It may be that you are wanting to find ways to deal with increasing signs of anxiety, fatigue, trauma, depression, anger or stress. My approach is to listen and work with you collaboratively. We all find ourselves in difficult situations or circumstances at times. What we need at such a vulnerable time is someone outside of the situation to provide a safe, professional and confidential space, a trained, astute and sensitive listening ear, a warm, compassionate heart to empathise, and a clear mind to offer perspective. Counselling tends to focus on specific issues, a particular situation, or a problem. It may be goal orientated and/or solution focused. It may be that just a short number of sessions will feel enough for you, but it can be open-ended for you to take whatever time and space you need. I offer a warm compassionate, professional and safe space, and am very willing to listen to whatever is troubling you and to see if we can find a way forward together. Counselling can help you feel supported through a difficult time and can help you find clarity and strength. It can be very helpful to speak with someone who is outside of your situation - who is neither family, colleague, or friend. You can speak freely with me. I am not here to judge and I assure you of a confidential professional space. The experience of being really listened to can feel very positive, especially if it is for the first time. Sometimes short-term counselling can become the beginning of deeper work, as more complex deep-seated issues from the past become apparent in their influence on your life in the present. It may be that a commitment to a longer process would be beneficial. This would all be discussed between us and obviously this is always your choice, and need not be the case. As you can see from the About Me section I have 30 years working in a wide variety of counselling contexts for both short and long term work, with people from all walks of life, facing all sorts of conflicts and dilemmas. I currently work as a part time Counsellor with the Sara Lee Trust in Hastings providing support to those diagnosed with life limiting illness, their families and carers. 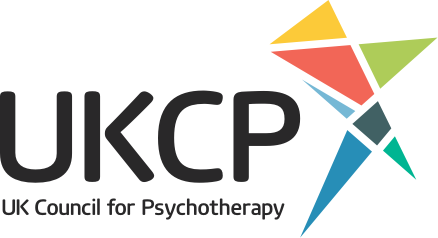 I am registered with UKCP. It may not be clear when you set out what it is you are exactly looking for. You are welcome to CONTACT ME and we can arrange a short 10-15 mins conversation on the phone. This can help us both assess and decide if we would like to meet and explore further. I will want to listen and explore and clarify what is troubling you. I may then offer some options and we can decide together the best way forward.